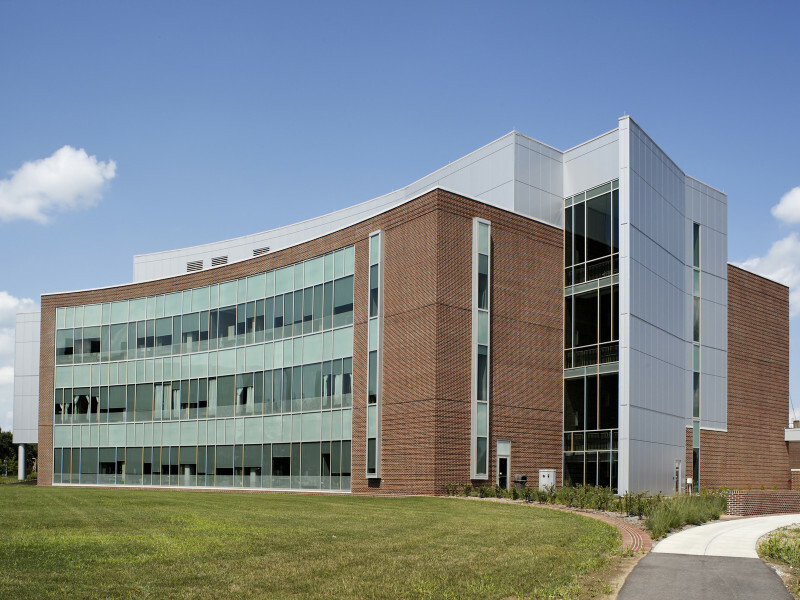 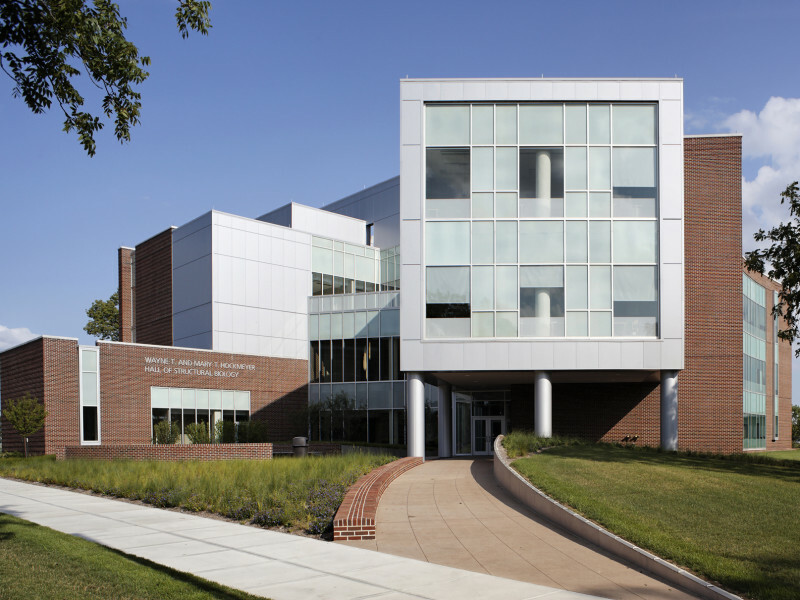 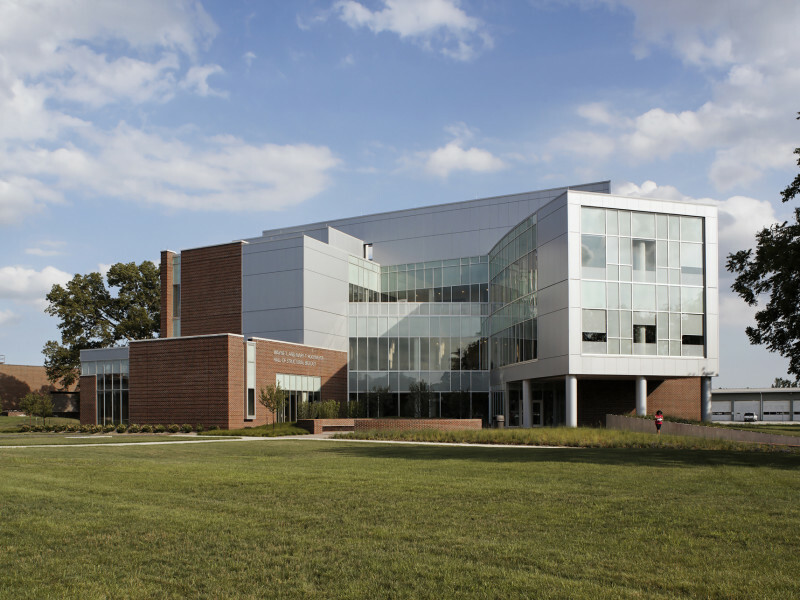 Hockmeyer Hall is devoted to the field of structural biology and is a primary research facility with very limited public access. 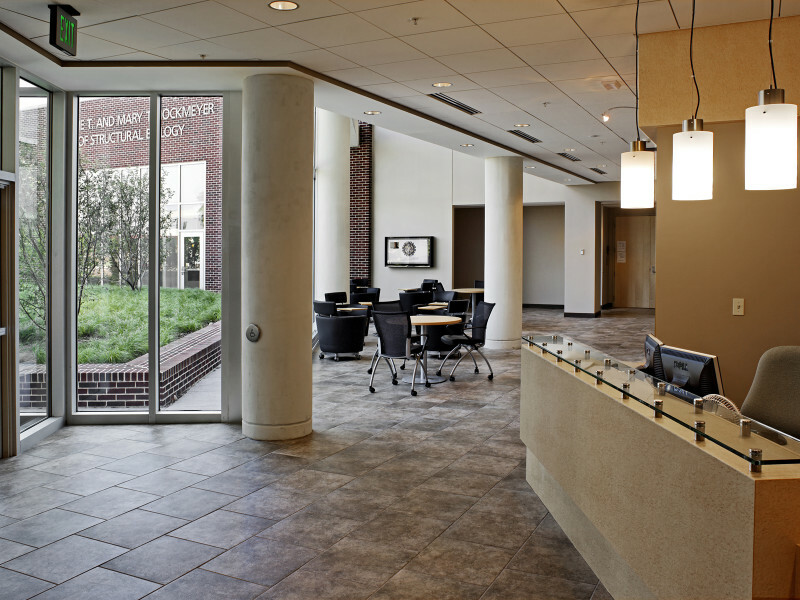 It employs the most recent technologies of Nuclear Magnetic Resonance (NMR), X-ray diffraction, ultra-high resolution electron microscopy, molecular crystallization as well as cell and virus culture in a modular, wet-bench laboratory environment. 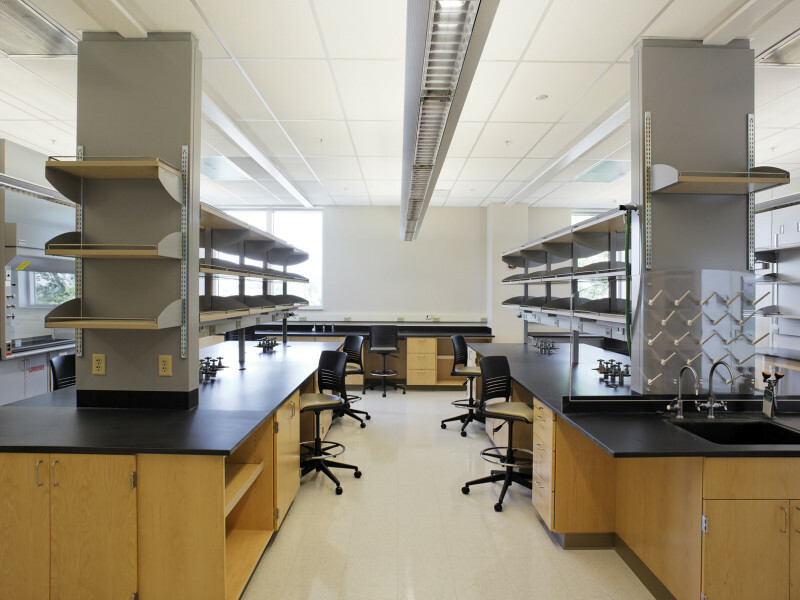 The facility contains very sophisticated Biosafety Level 2 and Biosafety Level 3 laboratories. 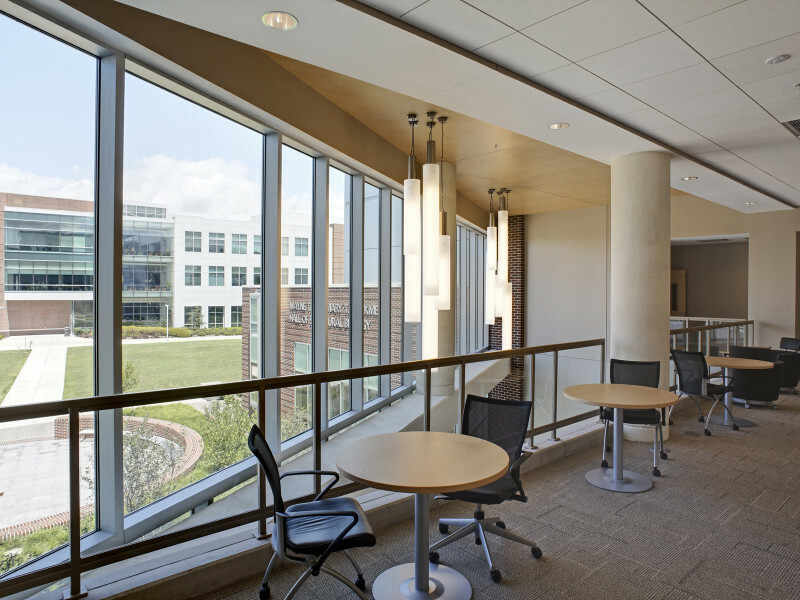 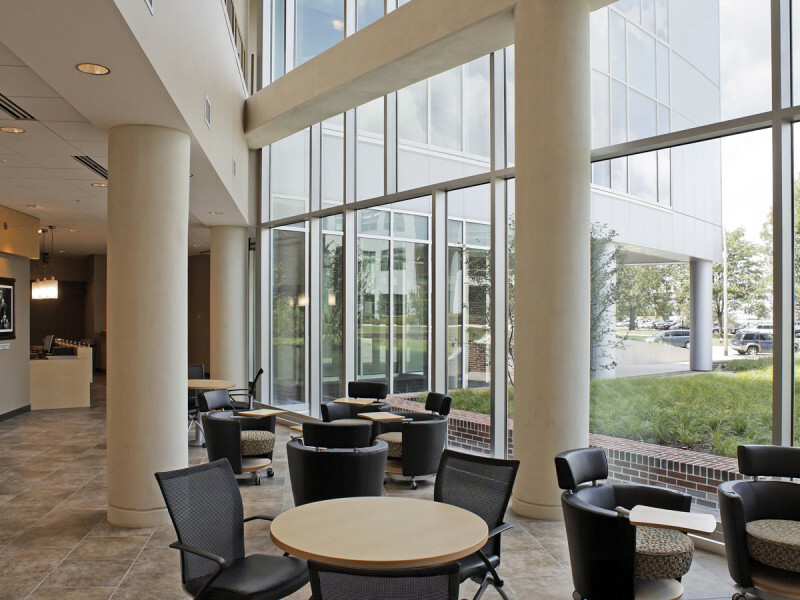 Beyond its importance as a laboratory, Hockmeyer Hall is a key feature of Purdue’s new campus gateway. 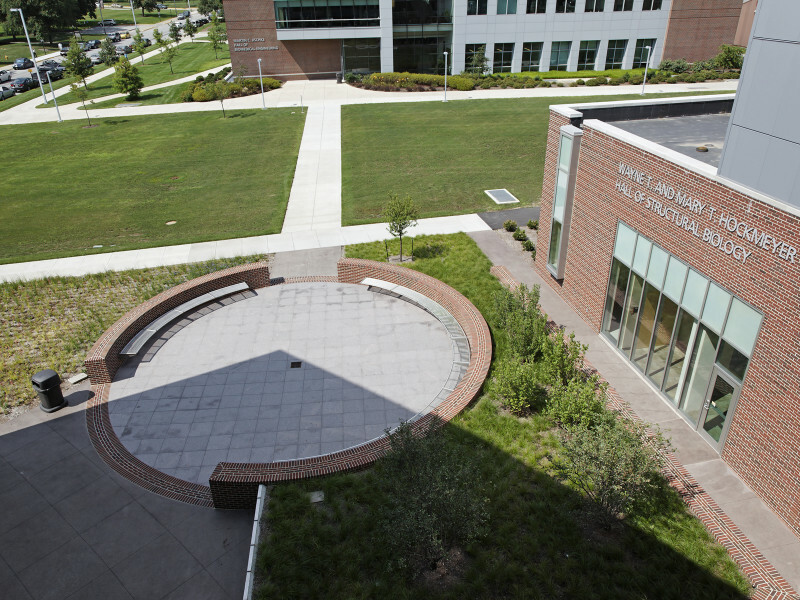 Hockmeyer Hall and the adjacent Discovery Learning Center flank the new entry drive to campus and over look a new traffic circle.